After your comment here, make sure you visit Jennifer Connolly AT A WELL STYLED LIFE, and comment on her Would You Wear It look? AN IMPORTANT ANNOUNCEMENT: In the almost nine years, I have been blogging, I have never really taken any significant time off from the blog. But, I must now take a small vacation for a week to welcome my fourth grandchild into the family and to assist with my two other grandchildren while mom is busy with new baby!! So, please know that I will miss you, and that I will return in a few days.  Also, make sure you follow me on Instagram (pamover50feeling40)…I will be putting some new photos there during the week. Have a great week everyone………..and make sure you…………. If you liked it, find it here and more……. Congrats on your new grandbaby!!! I really like that gingham top. I feel this one has a sophisticated look and I’m a big fan of black & white. I would wear it with white slim, ankle pants, black sandals and big statement earrings. I’ve never been attracted to gingham, it makes me feel like I’m wearing a tablecloth! So I’d have to pass of this one. Congrats on the new baby! Love this top! It looks cool and comfortable as well as stylish! Enjoy the new grandbaby!! Congrats! I liked the gingham top initially, but I wonder if the fabric is so stiff that it would balloon out and look like the maternity tops I wore years ago. I would have to try it on so I guess this is a maybe. Amazing!! That’s the same pink dress I photographed. Great minds think alike my friend. Congrats on your new grand baby! I like the style on the gingham but not a fan of gingham itself so no. If the pink dress is the same as what Jennifer posted them no to the baggy shape but love the colour. Hard to find everything you want in one dress these days!Enjoy your time away with family! Yes to both! I love gingham and this top is really cute! Also like the black pants. Those would go with everything! The pink top and scarf are beautiful! I love the hot pink and can also see that with black or white skinny pants. Congratulations on the new grand baby! Enjoy your time off! I think the top on the mannequin is styled wrong—too much material, shapeless. The same top on the woman in the slideshow looks completely different—a hint of a waist, closer to the body without being tight. If the top fit me like it does the woman in the slideshow, then yes, I would wear it. Yes, to the gingham as it is classic and looks comfortable. I would have to try the dress on but it is cute. Congratulations to you! It has sleeves, which means less sunblock needed by me. 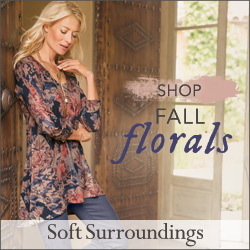 It is wearable three seasons out of the year due to its color and the sleeves. The scale of the gingham and the cut of the item are correct for my frame and body shape. I would wear it with skinny jeans, my black pants which are drapey but not too wide, or my white jeans. Lots of wear per dollar spent, so yes. I would ptobably go fown one dize, fue to my small bone structure. And I use my phone with miniscule keys to post…. I’m a fan of gingham and would wear this in a heartbeat! So cute with jeans. I probably wouldn’t wear it with loose fitting pants because I’m 5′ – it would just be too much. I might try it if the checks were smaller and the fabric soft. Otherwise on my short pear shaped body I’d look like a walking tablecloth. I particularly like the dress and scarf. The dress has shape and yet is not confining or tight in any way. And the color is fabulous. Love the strong scarf, although I would probably opt for some kind of floral with maybe small tassels at the end. The top is fine: love the style but the gingham is just very strong for a small person such as me! Do I like this top? Absolutely! I consider black and white gingham tops and shirts classic & preppy and wear them throughout the year. Would I buy this top? Absolutely not! I’m not spending $178 for a gingham top!! I’m not sure about the style of the top, but I do like the gingham. I’ve been wanting a black and white gingham top to wear with white pants. Congrats on the grandbaby! Like the gingham, not sure if I would wear it. Congrats on the grandbaby they enrich our lives. Just became a great grandmother, just love it. As I said on Jennifer’s post, the bright pink dress is too shapeless for me and the colour is not one that suits me well. I haven’t tried the gingham trend yet, but I would definitely try this top on. It looks a bit baggy on the mannequin, but I like the way it appears to fit in the advertising photo. I particularly like the three quarter sleeves. A new grandchild! How exciting! So happy for you. Yes I would wear it! Love the tops! Congratulations on your 4th grandbaby! Enjoy your much deserved time off! 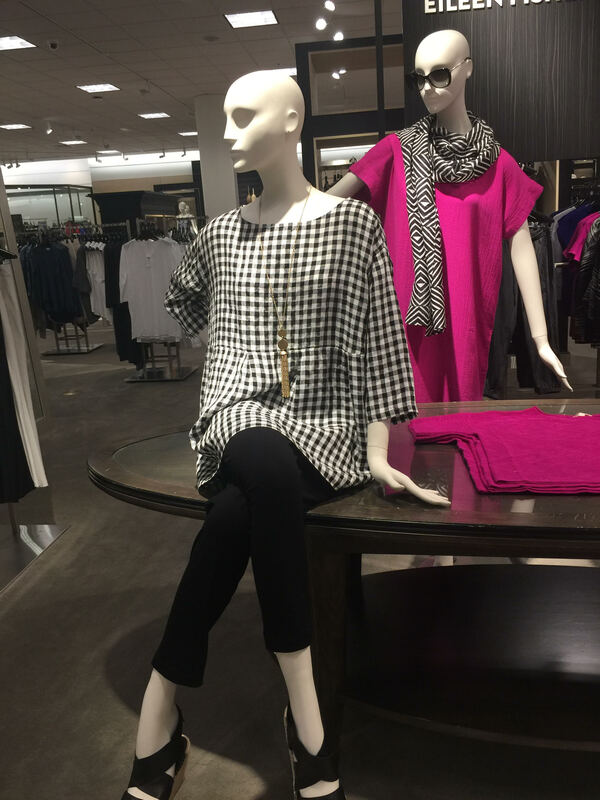 Yes, I would wear it: black and white, gingham, breezy for summer comfort. But I need to check the draping to avoid a maternity outfit. Yes, I love black and white together. First and most importantly, CONGRATULATIONS on a 4th grandbaby! Such an exciting time! We have 5 of them and I find they are truly an award in life, we are so Blessed! Have fun! On this top, …I like it, (mostly because I a sucker for ginghams, checks and plaids), but am not sure unless I tried it on. It looks boxy, sort of baggy, on the mannequin, but has more shape in the photo with the model wearing it. With my apple shape, I need tops that give me a visual waste, like an A-line cut. Otherwise, boxy shapes, just add more visual pounds where I don’t want them. Yes! I absolutely love both the black and white top and the bright pink dress and scarf. I think they are classic and I love that look. First off, congratulations on your new grandchild & enjoy your time with all the grands. I like the outfit. While the top is not something that I would normally buy, I think I would at least give it a try. I like the gingham, the sleeves & the length. I think it would look good with slim black or white pants. I love gingham but the shoulders and sleeves on this top aren’t structured enough for me. Congratulations on the new grand baby! Enjoy your time with those sweet little ones. YES, YES, YES to both!!! I love gingham AND the boxy look of both – they are styles in which I feel comfortable AND confident (even in our Texas heat/humidity). Both are easy and no fuss – just coordinate with cute earrings, a chunky bracelet, some strappy sandals and you’re out the door to face whatever opportunities the day brings. Congratulations on the new grand baby! I would definitely wear this top. I love black & white gingham. In fact I bought a new black & white shirt for this summer. It’s a bit dressier than a plain shirt with 3/4 sleeves, a tailored shape and a length that covers my rear. But this top I would love – it’s just that little bit different in cut and it has 3/4 sleeves which I adore – it would work with both black pants and white ones that I already own! Love it. Congrats on the baby! We welcomed our 2nd grandson (and grandbaby) at the end of May. Gingham – NOOOOOO! I can’t quite remember why, but the idea of wearing gingham gives me the heebies. Something to do with childhood… Plus, that style of top would swamp me, I am on the smaller side. 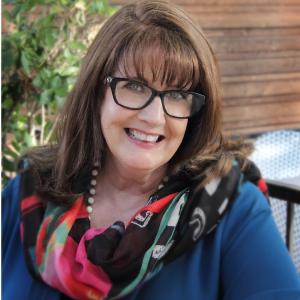 Fashion and Lifestyle Blog for women over 50 to help achieve strength, confidence, joy, inspiration, and, of course, head-turning personal style! Subscribe to receive the latest updates from the blog! You'll also receive a free copy of my 8 Steps To Reinvented Style.